Arun Jaitley will now have to face Ram Jethmalani in Court as he has decided to appear for the Delhi Chief Minister, Arvind Kejriwal in the defamation case filed by the Union Finance minister. Eminent criminal Lawyer Ram Jethmalani was a BJP member until he was expelled from the party for Anti Party Activities in 2013. He was also a RajyaSabha member. 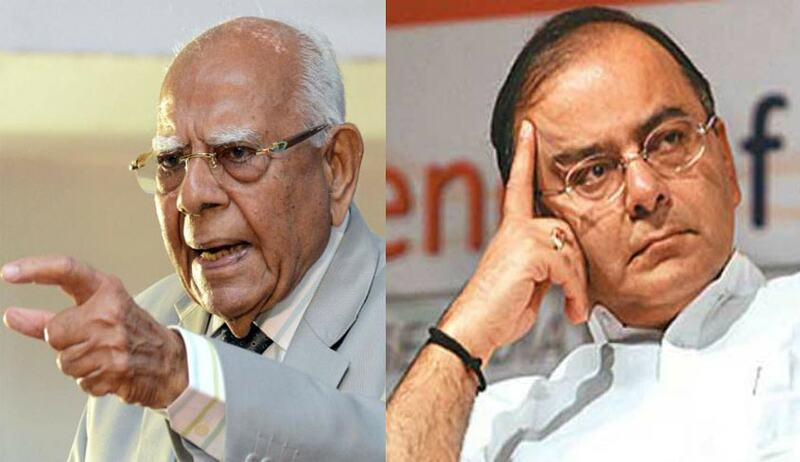 Ram Jethmalani himself has made serious allegations against Finance minister. Once he had reportedly said “Both P Chidambaram and Arun Jaitley should first be arrested and prosecuted if we really want to bring back black money. Jaitley took recourse under the garb of “Double Avoidance Tax Treaty (DATT)”. Union Finance Minister had filed a civil defamation suit in the Delhi High Court against Chief Minister Arvind Kejriwal and five other AAP leaders for issuing allegedly false and defamatory statements against him and his family members. (Source: PTI). Arun Jaitley has sought Ten Crore as damages from Arvind Kejriwal, Sanjay Singh, Raghav Chadha, Ashutosh and Deepak Bajpayee. Arun Jaitley suit reads"such false/malicious and defamatory campaign/propaganda against the plaintiff and his family members is a counter-blast to a CBI search of a bureaucrat in the secretariat of the Government of NCT Delhi on 15.12.2015". Meanwhile Delhi government announced that it had decided to set up a commission of inquiry under chairmanship of former Solicitor General Gopal Subramaniam to probe alleged irregularities including financial bungling in the capital’s cricket body DDCA.